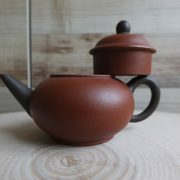 This teapot, made in the late 80s/early 90s is named ‘tao se shui ping hu’- literally meaning colorful teapot. You will observe from the pictures that the teapot is dual color, red body with the spout, lid knob and handle being dark green. My teapot collector friends explained to me that there was a short period in the late 80s/ early 90s where there was a demand for such colorful teapots. The manufacture of such teapots would mean 2 clays of different color clays were used. 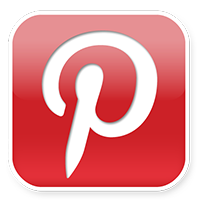 The 2nd color was usually used on the spout, lid knob and handle. 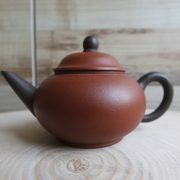 I was even told that some teapot makers were skilful enough to thinly coat the surface of the spout, knob and handle with the 2nd clay to achieve that ‘2 color’teapot look. 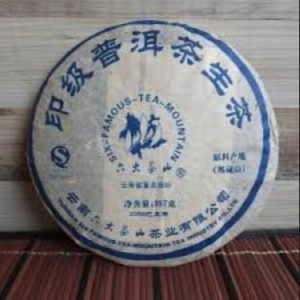 The ‘gai chiang’ or wall of the teapot lid is also more pronounced or elongated, which is also one of the ‘fashion trend’ of that period. 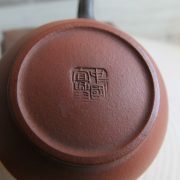 This teapot is the classical shui ping hu design. 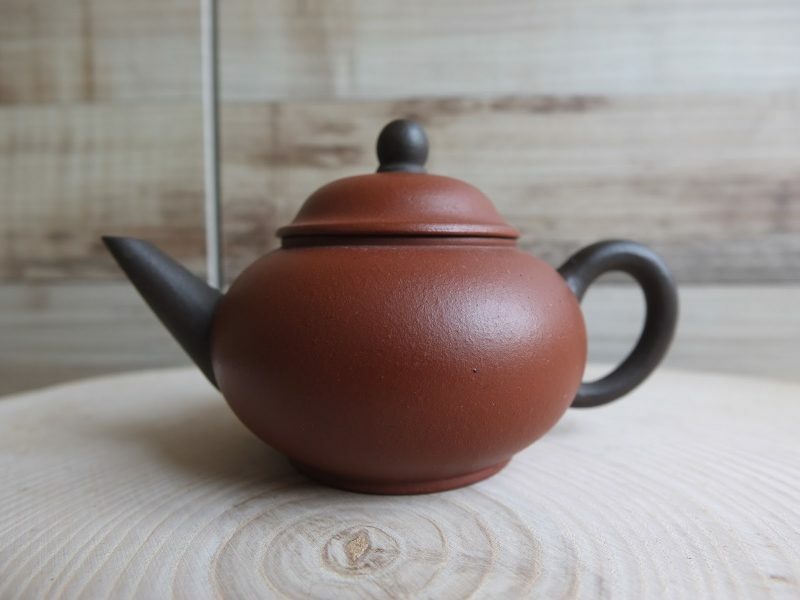 This unused 60ml teapot will make a nice addition to your teapot collection and will make an instant conversation piece when you have a tea session with your friends. One teapot per unit order.